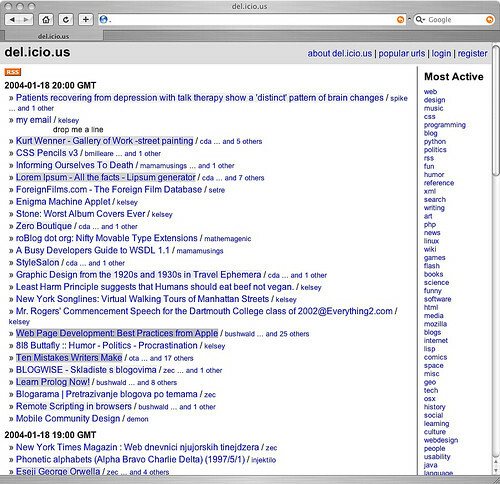 Nostalgia time: Remember the original de.icio.us? Before we had Reddit, FB, Birdsite, HN, or the fediverse, this is how some of us shared interesring links. And it was fantastic for a while. Personally, I used RSS for subscribing to other people&apos;s feeds.